Henry Steadman didn’t know what was about to hit him when he pulled up to a red light. A successful Florida plastic surgeon, he is in town to deliver a keynote address at a conference when suddenly his life becomes an unrelenting chase to stay alive. 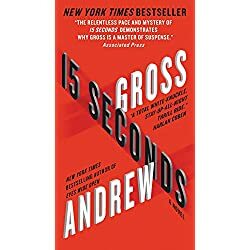 With breakneck pacing and nonstop action, 15 Seconds shows what can happen when even the best life is turned upside down in an instant. It is also the story of an innocent man, framed for murder, who has to save the person he loves the most, all while being drawn closer and closer to an inevitable face-to-face standoff with a man determined to destroy his life.